I sincerely hope Newt Gingrich wins the Republican nomination for president: It could bring a healthy candor to our politics and end up boosting the fortunes of liberalism as well. Now, I realize the former Speaker may not be able to convert his current polling spurt into triumph over his main rival, that dodgy I’m-all-businessman, whose too-perfect hair and smile remind me of a middle-aged Ken doll. Gingrich has scant backing from prominent Republican office-holders; influential conservative pundits, such as Charles Krauthammer and George Will, detest him; he lacks a strong organization to get out the vote in the early caucus and primary states; and he made millions lobbying for institutions he now condemns. But if Newt somehow manages to surmount these obstacles, imagine what a refreshing campaign he and Obama could wage. Gingrich has already vowed to challenge the president to hold lengthy debates—absent the usual moderators, with their tired Q & A format. Obama would have to agree, lest he seem cowardly. And this could set up the kind of campaign Americans have never witnessed before: a serious debate between articulate exponents of liberalism and conservatism—the ideological conflict that has shaped American politics since the emergence of a mass movement on the right in the 1950s. 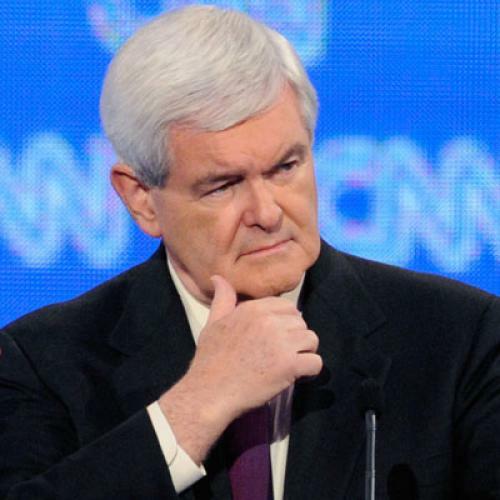 Gingrich has many flaws, but downplaying his ideological ambitions is not among them. He rose to power by being an articulate, if savage, exponent of a conservative world-view, and his nomination, if it occurred, would represent the triumph of rhetorical boldness over Romney’s cautious artifice. And it would also provide Barack Obama with an opportunity to advocate the progressive principles that inspired him to run for the office in the first place. When Gingrich calls for setting up a private retirement system to compete with Social Security, the President could explain why the current system is equitable as well as cheaper and more reliable. When Newt proposes that boards of citizens vote on whether undocumented immigrants in their localities should stay or be deported, Obama can respond with tales of the vigilante groups that terrorized German immigrants in World War I and Japanese-Americans in World War II. When Gingrich argues for a flat tax, the president would defend the egalitarian logic that underlies the progressive income tax. And if Newt really wants kids to spend time mopping the floors and cleaning the toilets of their schools, the president can remind him why child labor laws got passed in the first place. And the contest would be good for liberalism because Obama would win—unless he gets ensnared in a major scandal or the economy lurches back into deep recession. Gingrich may be basking in the admiration of conservative activists, but, to a broader audience, he still comes off as an arrogant pedant unable to convince those who are not already on his side. On the biggest stage of his life, Newt would almost surely give in to what Matt Bai called his “unhealthy, irrational need to hurl himself higher onto the slopes of history” in The New York Times. Preeners don’t get elected president. After such debates, an Obama victory would signify more than just the re-election of a moderately popular president over an opponent who fails to inspire the base of his own party—as happened with both Bob Dole in 1996 and John Kerry in 2004. It would expose the moral and logical defects of the conservative ideology that has been mostly dominant in the U.S. since 1980, even under Democratic presidents. Then, perhaps, a true liberal revival could begin. Michael Kazin is the author of American Dreamers: How the Left Changed a Nation and co-editor of Dissent. He teaches history at Georgetown University.